Emojis are great tools by which people can express themselves better. In fact, in the recent times, emojis have garnered great attention. Almost every social networking app or website has them. They are used in conversations and chats to express the current mood or feeling or emotion. Emojis are basically smiley faces which depict different emotions such as happiness, sadness, anger, excitement, shock, etc. which is why they are rightly termed as Emojis. You may also see Free Smiley Faces. This is a Pokemon emoji keyboard which is called as Pokemoji and is available for free download. It consists of a set of emojis in several different colors and forms. This is a collection of several free emojis for android devices. Each of them depicts different emotions. All of the emojis from this set are very common. You may also see Smiley Icon Sets. Facebook Emojis are quite popular with not just facebook users but also in other apps. This is a set of 7 emojis which are commonly used on Facebook. 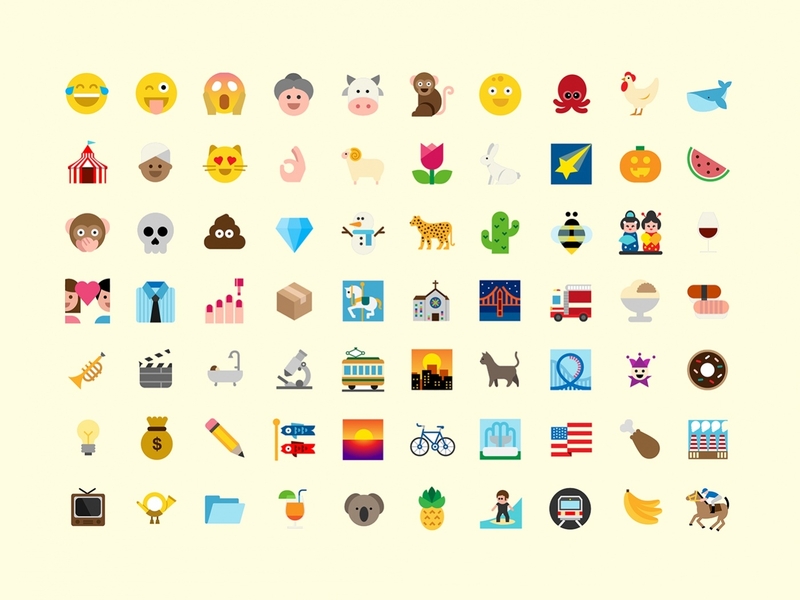 When it comes to emojis, WhatsApp has undoubtedly the best emoji collection. 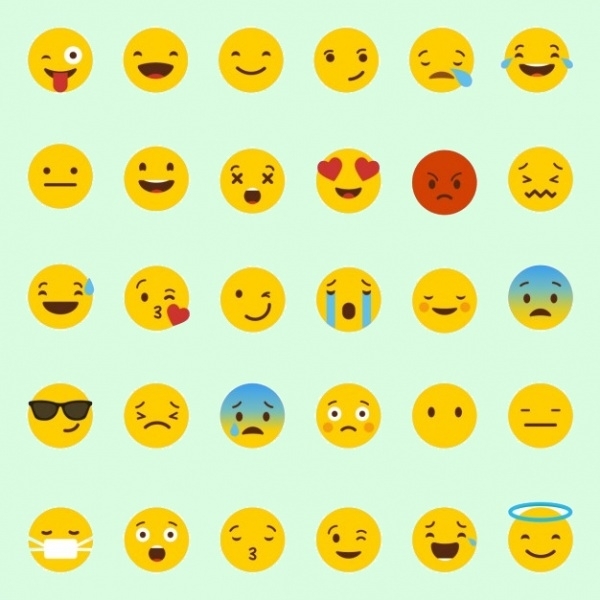 This set of WhatsApp emojis can be downloaded for free which has been designed from the vector. 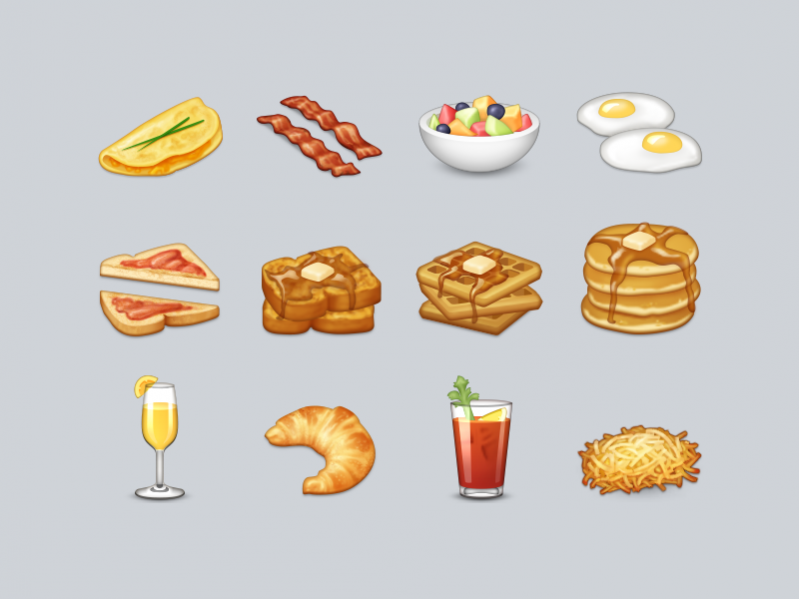 This is a yummy collection of brunch emojis featuring different foods such as croissant, bread toast, juice, donuts, eggs, fruits salad etc. 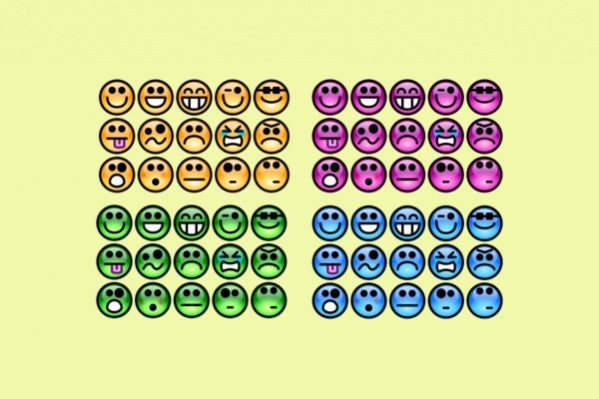 This is a vector emoji icons pack featuring loads of smiley faces in different colors. It is a cute set of emojis to be used for any personal or professional use. We all have used computer illustrated emojis but what about hand-drawn ones. These are the most real and most fun emojis, you can use this collection for any of your projects. Animated emojis are super cute and have a cartoonish look to it. Using them is really fun and this set is really cool and can be downloaded for personal use. This emoji clipart collection of 6 is funny and hilarious. 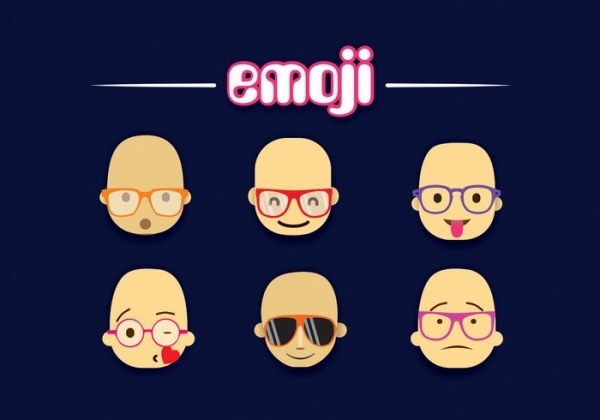 It consists of bald faces with spectacles on making funny gestures. This is a creative design to be used for ads. 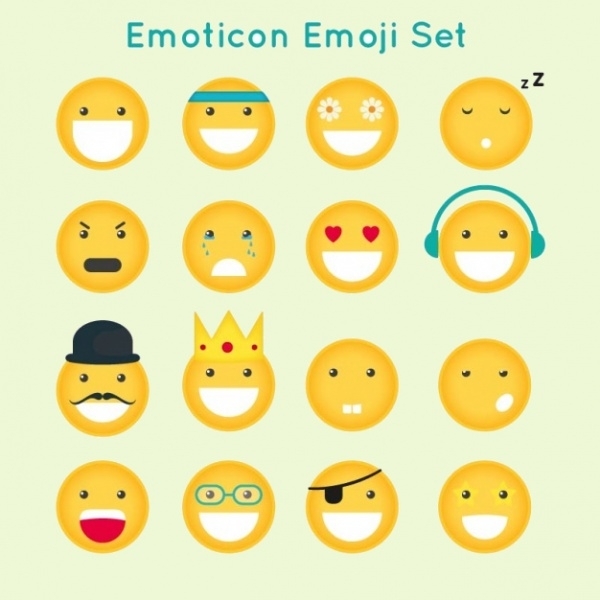 This is a set of vector illustrated glossy smiling emojis featuring smiley faces with several different moods in colors yellow, purple, green and blue. 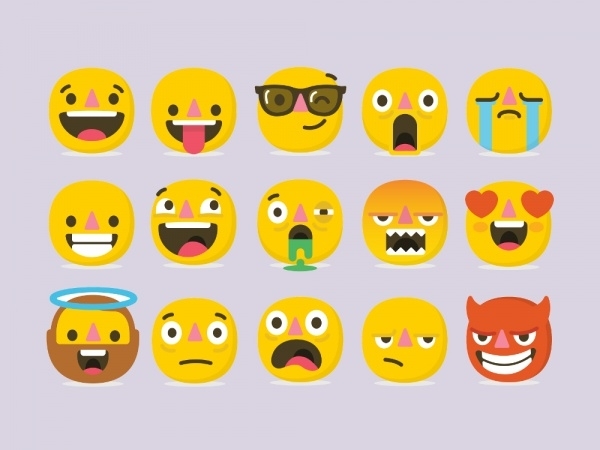 This is a very large collection of free emojis which consist of all the popular emojis such as the cat faces from WhatsApp, bees, houses, giant wheel, roller coaster and so on. 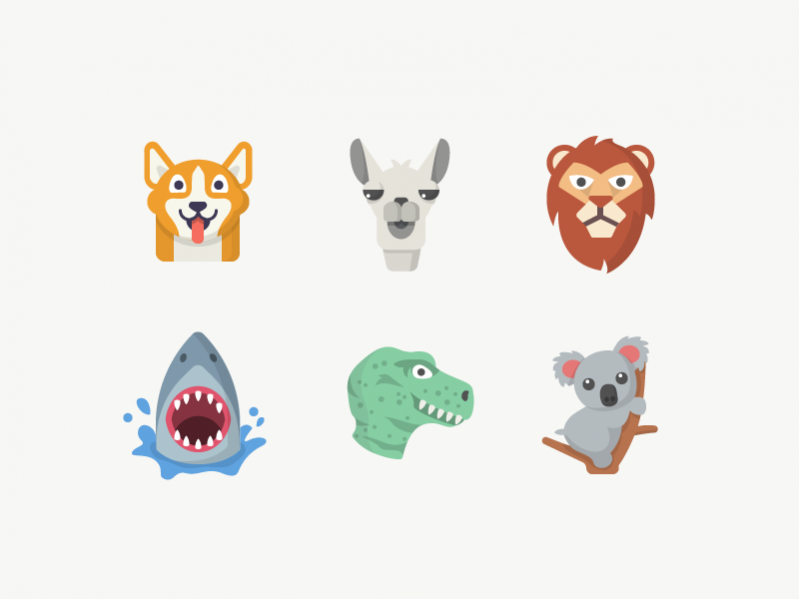 This is a set of animal emojis which are also popularly used by several projects. It contains a horse, lion, shark, dog, panda etc all of which are super cute. This is an emoji sticker set. Sticker emojis are commonly used on Facebook for sending a message without using words. 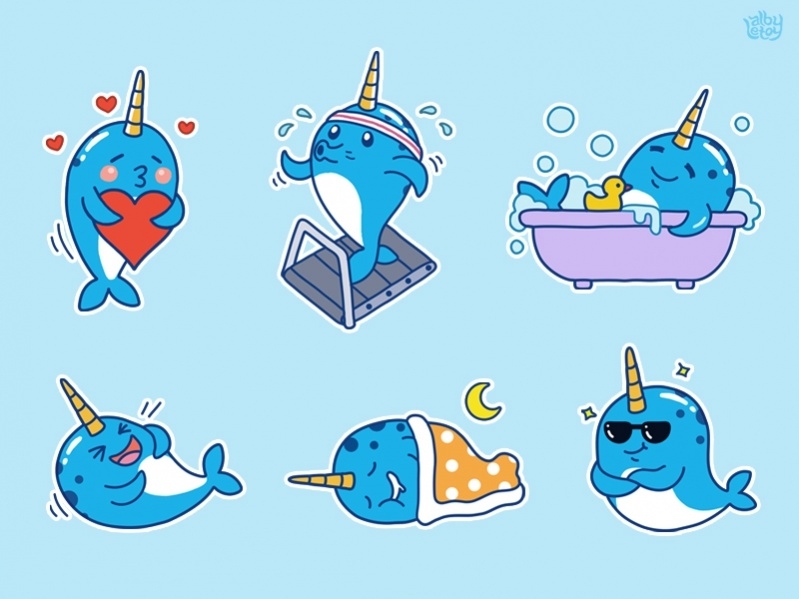 These stickers are all of a fish and its different moods. This collection of funny emoji character is unique and fun. It contains smiley faces, tongue emojis, social media icons, crown collection and so on. This is a collection of 10 emojis with a jeans pattern. They are in blue color with a unique theme that is the blue denim jeans pattern. How to use these “Free Emojis”? 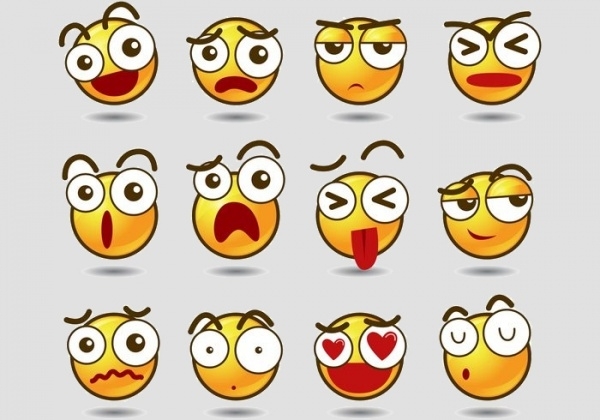 Use these free emojis in your project or even for your personal use. As they are made from the Vector illustrator format, you can also download them for free. If you are planning on developing a graphic design project such as developing a keyboard, you can download and use any of the above free emoji packages. 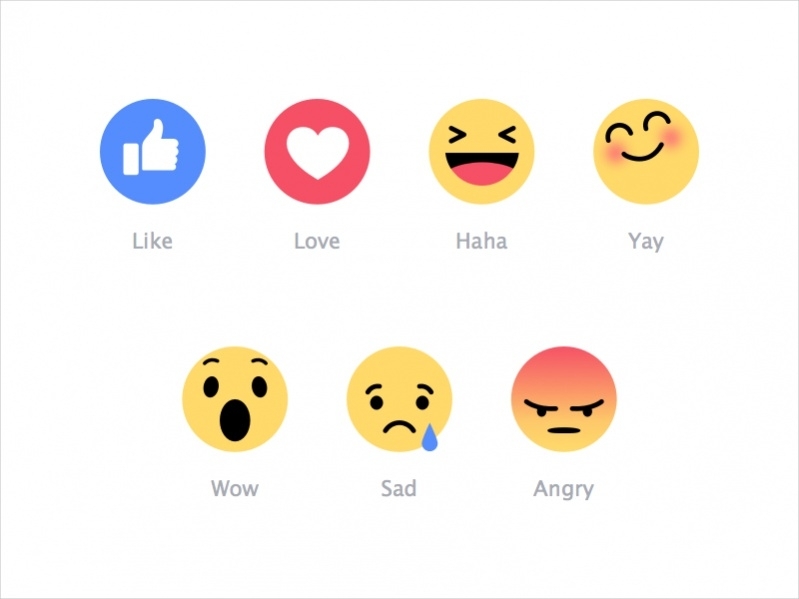 The package ranges from smiley faces to animals and social media icons and a lot more. Choose any one from the above depending upon your requirement. 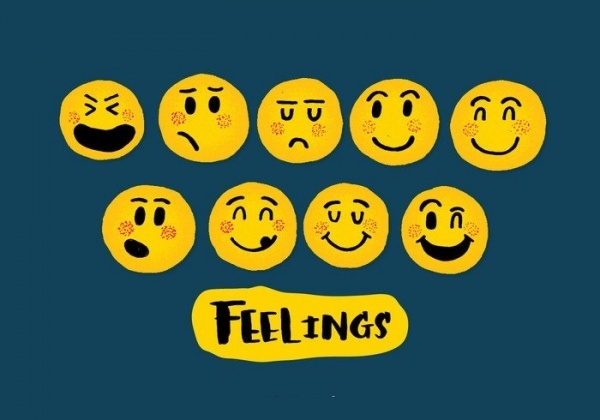 Emojis are the best way to express your feelings, they are also used to convey feelings and emotions. You can make use of the above emoji sets for free in any of your projects. Make sure that you choose the best category and create the best project.